Even before the leaves have dressed up in their sparkling fall colors, the preparation begins. Stores offer their best selections of colorful notebooks, glittery pencils, and backpacks with favorite cartoon characters or sports logos. Everything is fresh and new again, another year will soon begin. 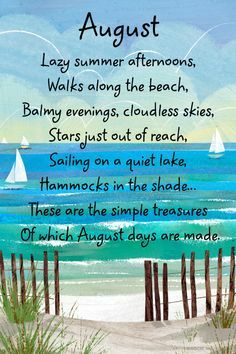 Can you recall that first year, that first time when you were just a little kid lacing up your new tennis shoes or Buster Brown’s and getting ready to walk or ride the bus with a whole lot of strangers? You were probably a bit wary as your mother packed your little lunch pail with a peanut butter sandwich and some carrot sticks. You hoped she’d put in a cookie for good measure. School! It could be a bit daunting. Big hallways! What if you got lost? What if you couldn’t find your way to the bathroom? What if your teacher didn’t like you? There were so many things to wonder about. Perhaps you could fake a tummy ache. After all, your mom wouldn’t want you to go to school if you were ill. Yes, that could be the thing to do! When you finally got to your classroom, you were impressed by the brightly lit room, the colorful bulletin boards that looked like there might be some fun things to do, and the corners of the room devoted to wonderful books and arts and crafts. This might not be so bad after all! This was looking good. Wow! You could hardly wait for school to start! 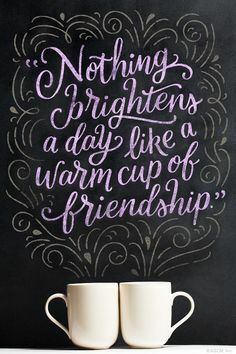 Whether you’re sending a little one off to school this year or you’re a teacher getting ready to go back for a new year, or you simply enjoy the memory of school days, from those early years, to those high school events, or college days, there’s something wonderful about going back to school. This fall, encourage the back to schooler in your life with eCards from BlueMountain.com and consider re-creating some “back to school” moments of your own by signing up to take a class, or learn a craft, or begin a new project. After all, you can still make your mother proud. Besides you’d love one of those cool new notebooks! “Hurricane Katrina brought many days of struggle and sorrow; yet, we also witnessed extraordinary acts of courage and kindness.” – President George W. Bush (Office of the Press Secretary – August 25, 2006). In 2005, Hurricane Katrina blew onto U.S. soil and became the most costly and one of the most deadly natural disasters in U.S. history. Total property damage was estimated around $81 billion, and the devastation stretched from Florida to Texas, pummeling the Gulf Coast. Federal disaster declarations covered 90,000 square miles of the United States, an area almost as large as the United Kingdom. The hurricane left an estimated three million people without electricity. Even today, the economic, environmental, political, legal and population impact to the region is substantial. Let’s also remember that many people “stepped up” during those frightening days. Today is a day to not only remember those who were lost, but to celebrate and thank the many brave people and unsung heroes that helped the Gulf Coast residents get through the chaos and rebuild afterwards. Thank you to the men and women who worked diligently to evacuate the threatened areas before the storm arrived. Thank you to the first responders and good Samaritans that risked their lives during the storm to rescue those left behind. Thank you to the emergency crews and aid organizations that cared for those who lost so much in the storm. Thank you to our fellow Americans and those in other countries who donated so generously to help in the aftermath. As we remember the victims and show gratitude to those who assisted before, during and after one of the worst natural disasters ever to ever hit the U.S., let us also celebrate the human spirit and our faith in each other as human beings. Today, a lot of work still has to be done – “normal” will not come back to some Katrina-affected areas for many years to come. However, residents won’t give up. They continue to rebuild, to dream, and to hope. Remember that Katrina wasn’t the first disaster, and it won’t be the last. When tragedy strikes, you can make a difference by supporting aid agencies such as the Red Cross (www.redcross.org) with donations and time. We can all make a difference in each other’s lives! It’s HUG DAY! Yes! That’s right! It’s the best day of the year because you can walk up to anyone, almost anyone, and give them an adorable embrace for no reason at all and then move on…with a smile on your face. If you look back, they’ll have a smile on their face too. 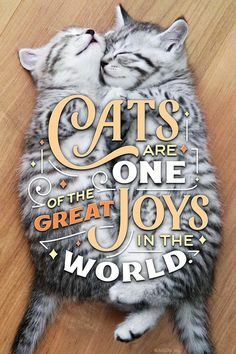 You know they will because we all need a lot more hugs in our lives. 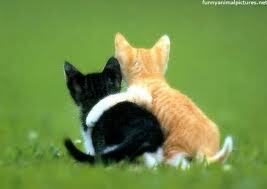 One statistic says that we need at least twelve hugs a day to simply stay reasonably balanced. Twelve hugs!! Okay, most of us are operating under a severe hug deficit. Perhaps you could include dog or cat hugs, but when possible, go for actual people hugs. 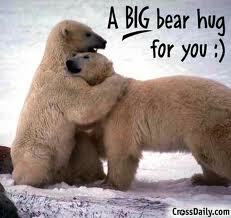 After all, it’s Hug Day!! You may remember a delightful piece that Shel Silverstein wrote in his book, Where the Sidewalk Ends, called Hug O’ War. It’s a great little poem about how hugs are much better than tugs, because with giggles and grins, everyone wins. It’s an inspired thought and one to pick up on today as you go about your business. Carry a sign if you have to, “No tugs, just hugs.” Who knows you might actually start a hug swarm, a hug mob where people are suddenly dancing in the street. They may come up to perfect strangers and hug them as though they mean it. 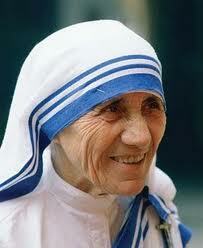 In this temporary insanity, they may see all people as worthy of something as valuable and as friendly as a hug. We may even have to call the hug police. They’ll be out looking for those who try to skip out on Hug Day. Fortunately, they won’t have to arrest you. You’re a great hugger! In fact, you’re one of the best huggers around and so it will be natural for you to get out there and do your part to celebrate the day. Remember, No tugs, just hugs! Oh, don’t you feel better already? 1969 was a monumental year in the United States: man set foot on the moon for the first time, demonstrators continued to protest the Vietnam War, hippie fashion was in style with peace signs and long unkempt wild hair adorned with anti-establishment phrases, and one of the greatest music festivals of all times was held – Happy Anniversary to WOODSTOCK! 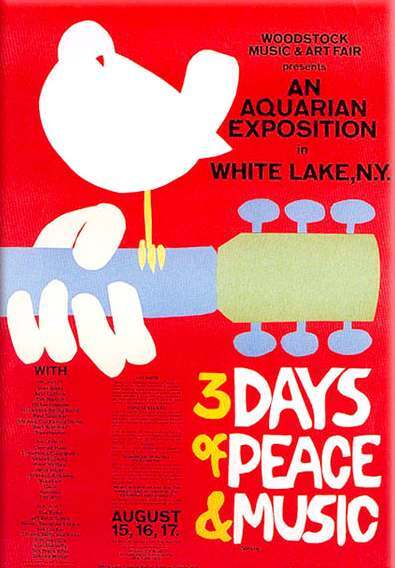 Held August 15-18, 1969, the Woodstock Music & Art Fair was billed as “An Aquarian Exposition: 3 Days of Peace & Music”. The epic music celebration was held at Max Yasgur‘s 600-acre dairy farm in Bethel, New York, which is southwest of the town of Woodstock. The organizers assured the town of Bethel to expect no more than 50,000 people. We know now that they were a bit “far out” on their numbers! Over 100,000 tickets were sold well before the weekend of the festival, rendering them useless as swarms of people overtook the concert grounds for the one of the grooviest events ever. The paid event became a free public concert. In the end, the peaceful hippies numbered half a million and the festivities were greeted with rain, mud, traffic jams, and some of the coolest musical performers ever to gather in one place. How cool? So much so that Rolling Stone Magazine included Woodstock in the list of “50 Moments That Changed the History of Rock and Roll”. Thirty-two acts performed over the course of the four days. The line-up included acts such as Ravi Shankar, Arlo Guthrie, Joan Baez, Santana, Grateful Dead, Creedence Clearwater Revival, Janis Joplin with The Kozmic Blues Band, Sly & the Family Stone, The Who, Jefferson Airplane, Joe Cocker, The Band, Blood, Sweat & Tears, Crosby, Stills, Nash & Young, Paul Butterfield Blues Band, Sha-Na-Na, and Jimi Hendrix. Two “soundtrack” albums came out of the event. The first was Woodstock: Music from the Original Soundtrack and More, and Woodstock 2. Both albums included band performance and recordings of stage announcements between songs. Too bad to those who declined to play the festival – you know what they say about hindsight! On the dubious list of those who “passed” on Woodstock: Bob Dylan, The Beatles, Jeff Beck Group, The Doors, Led Zeppelin, The Byrds, The Moody Blues, Joni Mitchell and Roy Rogers. Major bummer, man! Value of “being there” for the 1969 Woodstock Music and Art Fair = priceless. Have you been to Woodstock? Share memories of good times past with the friends who shared this historic and monumental experience with you – Send a BlueMountain.com ecard to let them know you care. Who are your favorite bands and songs from Woodstock? Share in the comments section! Introducing Premium eCards and Postcards + Free Stuff! If you’ve been on Blue Mountain recently you’ve probably stumbled upon our newly created premium eCards and postcards… but what the heck are these new products and why were they created in the first place? We’re delighted to share that these original innovative greetings were inspired by you, created for you, in hopes of offering you new and exciting ways to communicate with loved ones. So here’s how it started… judging by your feedback on our Blue Mountain Facebook fan page, you were looking for a quick and easy solution to posting a simple message on your friends Facebook walls – such was the inspiration for our new line of premium postcards. Additionally, we created a new and improved eCard experience that not only eliminates additional clutter on the page, the eCards actually immerse your computer screen for a captivating experience we think you’re going to love! Check out some of our favorites below and be on the lookout for our new premium Halloween eCards coming soon. Don’t Forget the Freebie! : As a sign of our appreciation for your insightful feedback we’d like to give you the opportunity to try our new products absolutely free for the next 2 weeks! Click on the image below to start sending today. Happy birthday to the master of cinematic suspense, Alfred Hitchcock! 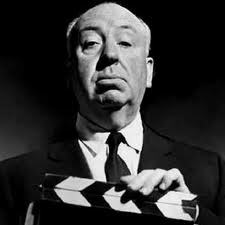 Alfred Joseph Hitchcock, or “Hitch” to his friends and colleagues, was born August 13, 1899, inLeytonstone,England(just outsideLondon) to William and Emma Hitchcock. St.IgnatiusCollege, he went on to study engineering and navigation. One of his first jobs was working for the Henley Telegraph and Cable Company, during which time his interest in film began. He first got work drawing sets and met Alma Reville, an editor, who was only one day younger than Alfred. Laboring further down the food chain than her, they never spoke to each other until the director of the film they were working on got severely ill and Hitchcock was called upon to finish the movie. He and Alma married in December 1926 and had a daughter, Patricia. After a number of stops and starts at directing, Hitchcock began his filmography with The Lodger, The Lady Vanishes, and Rebecca. But it wasn’t until Saboteur in 1942 that studios began placing Hitchcock’s name before the title (i.e. Alfred Hitchcock’s Psycho). It’s been said that Hitchcock prided himself on directing and preferred studios for shooting rather than filming on locations because it enabled him more control over the filmmaking elements. He also made a point of making an appearance in most of his films, which became something of a trademark for Hitchcock. Not to limit himself to film, Hitchcock also made a name for himself in television in the 1950’s and 60’s with “Alfred Hitchcock Presents”. He directed many of the half-hour episodes and played host every week during its run. 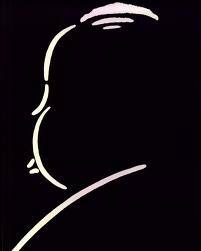 Years later, when given a Lifetime Achievement award in 1979, Hitchcock kidded that he must be nearing the end of his life. He died the next year of kidney failure on April 29, 1980, in Bel Air,Los Angeles,California, a man of the world and a cinematic legend. Know someone who shares Alfred’s birthday? Send them a frighteningly exciting birthday eCard and make their day! You may be able to remember your first time. You waited with great anticipation, wondering just how it would feel when you first entered the room. You thought about what it would be like, how you would contain your excitement as you let your fingers run over the spines of your favorite characters? You might not have known the authors by name yet, but you knew that your relationship had already begun, you were hooked and this was going to be a lifelong passion. Books were in your life to stay! The first library or bookstore visit was an occasion. It was something to celebrate. You knew you were going to have to make choices, big choices. It was something like choosing the best chocolate from the box and not knowing exactly what would be inside. Would you get one that was kind of nutty and fun? Would you get one that was beautiful on the outside, but rather lackluster on the inside? Oh, no matter! You were there and the adventure was simply unrivaled. Sure, you’ve calmed down now. You’re not quite as carried away with the chance to add a new book to your shelf and yet, something lingers, some sense of awe at what the bookstore beholds. By now, you’ve read the kind of romantic fiction that melts away like chocolate drops on a summer day. You’ve read nonfiction that gave you pause, a lot to ponder, something you simply had to digest. Yes, it’s still a candy box moment. Whether you can wander through the specialty books wrapped in gold foil or embossed with intrigue, or whether you look for the simpler sustainable styles, this is your world. The book lovers, and you know who you are, never quite get over the thrill of winding their way through the stacks, wondering just which one will be the most exquisite, which one will be chocolate decadence. No matter! You know it’s there and with your experience and diligence, you’ll soon be quietly slipping between the covers with a little mocha blend close at hand. Enjoy! You deserve it!